Leading Chilean winery, Santa Rita, has launched Santa Rita Heroes Wine in the United Kingdom in support of Forces charity, Help for Heroes. The wine will raise funds for those who have been wounded, injured or become sick in Britain’s current conflicts. Santa Rita is looking for retail partners to make this most of this exciting opportunity. A selection of ten wines is available to outlets, with the grapes in the final offering being confirmed depending on the requirements of the individual retailer. All of the grapes used in the wines will be sourced from Santa Rita’s premium vineyards. From each bottle sold (RRP £9.99) £1 will go to Help for Heroes, helping to fund the charity’s work to provide practical, direct support for Britain’s wounded.  Santa Rita is one of Chile’s oldest and most respected wineries.  The winery has military links dating back to 1814, when, according to legend, during the battle for Chile’s independence from the Spanish Crown, 120 patriots led by Bernardo O’Higgins took shelter in the cellars that today belong to Santa Rita. Santa Rita runs a number of ‘Local Hero’ campaigns around the world. In the US, Santa Rita has partnered with ‘Cell phones-for-Soldiers’ which has allowed US soldiers serving outside of the country to speak free of charge for over 5 million minutes. Thanks to the fantastic British public, Help for Heroes (H4H) has raised over £135m since its launch in October 2007. All funds raised to date are either allocated or spent on the direct, practical support of those Servicemen and women who are wounded, injured or become sick while serving our country. H4H has funded a variety of projects including the £8.5m Rehabilitation Complex at Defence Medical Rehabilitation Centre, Headley Court, a new £3.5m treatment centre for Combat Stress, adaptive adventure training through the Battle Back programme and the creation of a £6m Quick Reaction Fund to support individuals in need. In February 2010, H4H announced its lead role in the delivery of five regional Personnel Recovery Centres (PRCs) as part of the wider Defence Recovery Capability (DRC), which is an MoD initiative in partnership with H4H and The Royal British Legion. H4H has committed to fund and lead the £60m delivery projects in Colchester, Catterick, Tidworth and Plymouth. H4H is also committed to funding to cover the operating costs at all four centres for the next 20 years. In addition TRBL will provide annual grant to H4H towards the operating costs at Colchester, Catterick and Tidworth. The PRCs offer residential facilities to those wounded, injured and sick personnel from across the Armed Forces, and ensure they have access to the key services and resources needed to help them either return to duty or make a smooth transition into an appropriately skilled civilian life. The centres provide a comprehensive training facilities, classrooms and gymnasiums with state-of-the-art sports equipment as well as opportunities to learn new skills and gain qualifications and are there for life. H4H does not seek to criticise or be political. We just want to help and we work closely with the Army, Navy and RAF to provide support where it is most needed. H4H Trading retails a wide range of branded merchandise to help offset the running costs of the Charity. Every hoodie, mug and calendar sold ensures as much as possible from donations goes to fund direct, practical support for our wounded servicemen and women. Emma Parry, Co-founder of H4H, is Chairman of H4H Trading. Battle Back was founded in 2008 and is a Ministry Of Defence led initiative in partnership with and funded by H4H and The Royal British Legion. Battle Back is an Adaptive Sport and Adventurous Training programme for wounded, injured and sick personnel from across the Armed Forces, including mobilised reservists. Battle Back is also available to Veterans but funded separately. H4H is proud to have supported Battle Back since its inception in 2008. H4H has committed over £1m in support of the Battle Back initiative, and over the next ten years have a planned further significant commitment to continue to fund the wider Battle Back activity programme for serving personnel and veterans. Battle Back programmes and activities can be delivered from any of the Defence Recovery Centres and other establishments.. Currently they are formally run out of the Battle Back Centre Lilleshall (Defence Adaptive Sport and Adventurous Training Centre), the Defence Medical and Rehabilitation Centre, Headley Court and the Personnel Recovery Centres at Tedworth House, Tidworth and Phoenix House, Catterick.